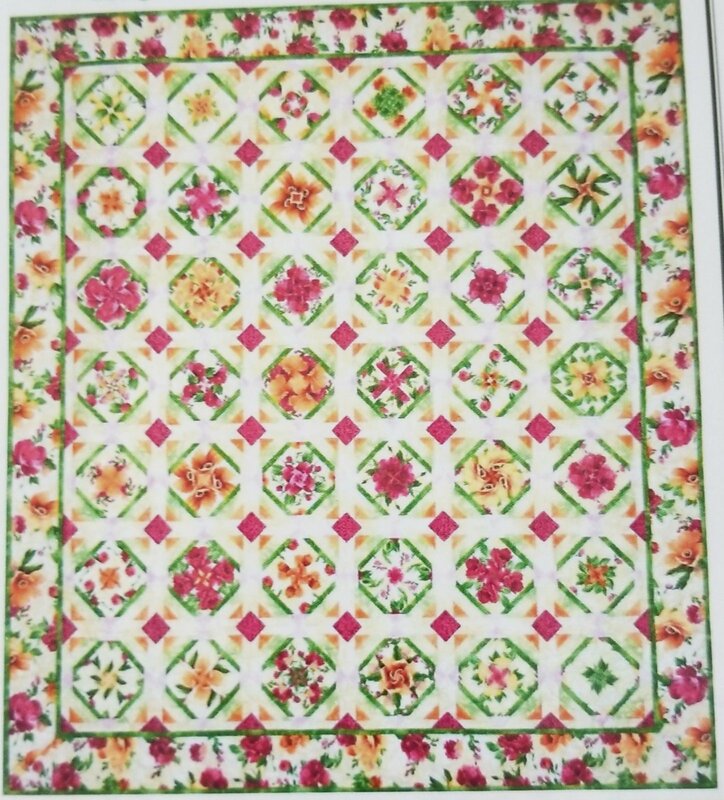 Kit includes fabric for front of quilt, which is 42 focus blocks with a 5" border. Finished size is 68" x 78". All fabric is from the "Paradise" line.